Dry, flaky skin on face is a problem many people encounter. Since skin on the face is very fragile and thin, it is more prone to damage. While flaky skin usually isn’t anything serious, it can be embarrassing and bothersome. When skin is dry, it often itches and peels. To take care of the problem, it is helpful to understand what is causing the flaky skin on your face and ways to remedy it. When you live in an area with low humidity or it is in the winter season wherever you are, skin tends to dry up more quickly. This is due to the lack of moisture which your skin needs to stay healthy. When this happens, your facial skin will feel tight and dry and may become flaky. When your face is exposed to the sun, there is always a chance for sunburn. Immediate consequences tend to be redness and pain, but when the sunburn fades, more is to come. The dry, flaky skin on your face will begin peeling off. Not only will it be unattractive when this happens, it could possibly lead to greater skin damage in the future. Remember, sunburn is not only caused by direct sunlight but can also occur when the sun reflects off water or snow. Lounging in hot tubs, saunas and heated swimming pools may be relaxing, but meanwhile, your skin may be taking a beating. When you soak too long in hot water, the naturally protective oils on your face can be stripped and will leave your skin flaky and dry. Cleansers and cosmetics are often the culprit and cause of dry, flaky skin on face. They contain harsh ingredients which can result in your skin peeling. Cleanser for acne treatment is even more drying to your skin. If you have an allergic reaction to a cosmetic product like face foundation or lotion, you may also experience dry, flaky skin. It may become red and irritated as well. An autoimmune condition called eczema can result in patches of dry and flaky skin on your body. Typically, they will appear around wrists, elbows, knees and ankles. However, the patches are known to appear on a person’s face as well, usually around your eyes or eyelids. The chronic skin condition that is referred to as facial psoriasis occurs where there is at least one red, thickened, persistent and dry patch of skin on the face. The condition is usually mild, but there have been cases where it involves the neck, ears, forehead and hairline as well. It is best to use lukewarm to warm water to wash your face. Try to avoid hot water if you can, but if you must use it, counter its affects with cold water. Quickly splash cold water on your face afterwards, so it can cool down your skin. The same goes if you are outside and it is extremely hot. As soon as you come inside, rinse your face with cold water to hinder the heat and prevent dry skin. Not all soaps are mild and many have harsh ingredients. Many of these soaps contain a surfactant called sodium lauryl sulfate, known for stripping moisture from the skin. Also, cleaners with fragrance tend to include alcohol, so these should be avoided as well. It is best to use non-sudsy or non-soap cleansers on your face. After you wash your face, take time to apply moisturizing cream or lotion. A tip to remember is that more of the moisture will be trapped in your skin if you immediately apply it to wet skin. 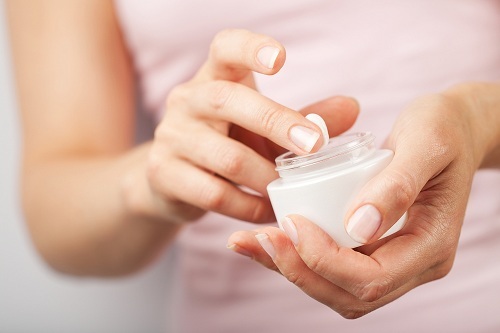 Try and look for products with ceramides, shea butter, glycerin or stearic acid listed in the ingredients as they tend to be more moisturizing and better for the skin on your face. Sunscreen plays a vital part in protecting your skin, especially since your face is more prone to damage. 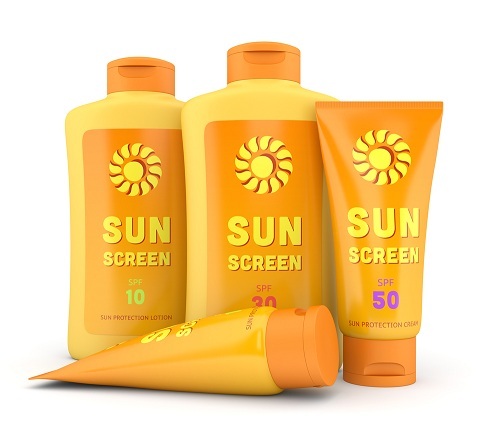 It is important to apply sunscreen all year-round at strength of SPF 30 or stronger. You can often find facial moisturizer or foundation that already contains sunscreen. Don’t forget that your lips are a part of your face and you should apply a SPF lip balm, too. Humidifiers pump moisture into the air, thus feeding your skin the humidity it needs to repair itself. If you can run a humidifier at night, it is even better. Your skin has time to soak in the moisture while you are asleep. The ideal setting is a humidity level of 50 percent in the room. 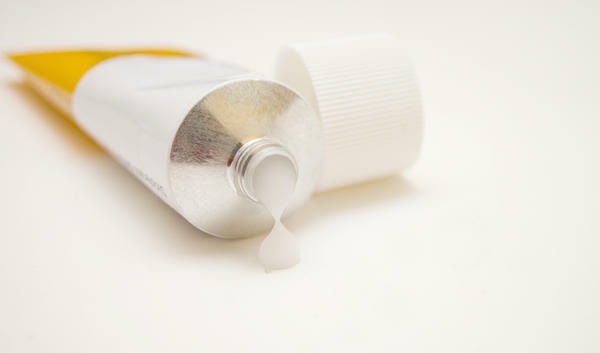 Hydrocortisone cream that is bought over-the-counter can help those suffering from a mild case of eczema. Your doctor can prescribe a steroid cream if you suffer from more severe eczema or a case of psoriasis. This type of medication can be very effective in relieving inflammation and itching. If neither of these creams or ointments provide you relief nor alleviate your symptoms, contact your doctor because there may be other medicines available.